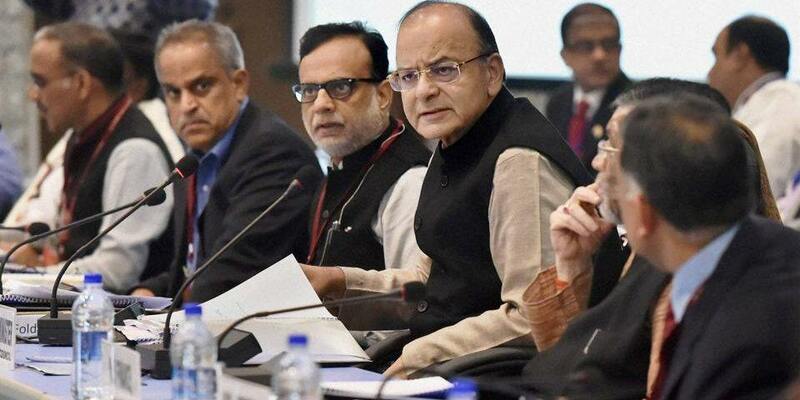 The much-awaited mechanism for anti-profiteering will be decided upon by the GST Council on Saturday, Finance Minister Arun Jaitley told the Lok Sabha on Tuesday. He also expressed the hope that other sectors would follow suit of the auto sector to cut prices due to the effective lower rates under the goods and services tax (GST). Referring to concerns raised by members with regard to impact of GST on prices, Jaitley said it would be mandatory for manufacturers to pass on the benefits of reduction in taxes to consumers. He hoped that the decision of price cut by automobile sector on account of benefit of input tax credit would be followed by others manufacturers. “What if input tax benefit is not transferred to consumers?…we are meeting a few days from now…In a short while, we are going to finalise the entire mechanism as far as anti-profiteering is concerned. “All you need is to make a few examples and then everybody will fall in line. If there is benefit of the input credit then cost correspondingly must decline,” he said while replying to a discussion on Supplementary Demands for Grants which was later passed by the Lok Sabha. The industry was resistant to this clause, he said, adding, it has been put in the GST law for initial few years to save the interest of consumers. After taking into account input tax credit, weighted average tax is less than what it was on June 30, Jaitley said. It will also help in increasing the tax base and enhancing resources for the government for states as well as central government. As many as 72 lakh businesses have migrated to Goods and Services Tax Network while 13 lakh new users have also registered against 80 lakh dealers prior to GST, the finance minister said. Citing other benefits, he said, removal of octroi has resulted in saving of both fuel and time for truckers. GST impact is not only on indirect taxes but on direct taxes as well, he said. With GSTN being put place, tax evasion cannot take place, he said. The anti-profiteering law simply states that the businesses have to pass on the benefits arising out of lower taxes to the consumer. According to Clause 171 of GST Act, it i mandatory to pass on the benefit due to reduction in rate of tax or from input tax credit to the consumer by way of commensurate reduction in prices. The government is yet to set up the anti-profiteering body, but it has formed a search panel to select the chairman. The rules on anti-profiteering say that companies not passing on benefits of reduced prices on account of the proposed goods and services tax (GST) to customers may lose their registration. However, this would be the last resort before other options are explored, according to one interpretation of rules. The body can order reduction in prices, ask companies to returning money to the customer along with interest, ask them to deposit money in Customer Welfare Fund in case the customer does not claim it or is not identifiable and imposition of penalty equivalent to the amount of profiteering. Allaying fears over the anti-profiteering measures, a finance ministry official had said the proposed authority will take up for scrutiny only those cases that have mass impact and those where undue profit of more than Rs 1 crore has been earned.